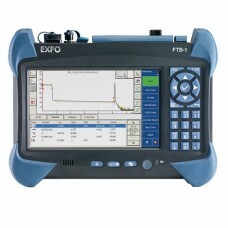 The FTB-1 Platform is a modular platform optimized for fast, powerful, dedicated FTTH and Ethernet test applications. 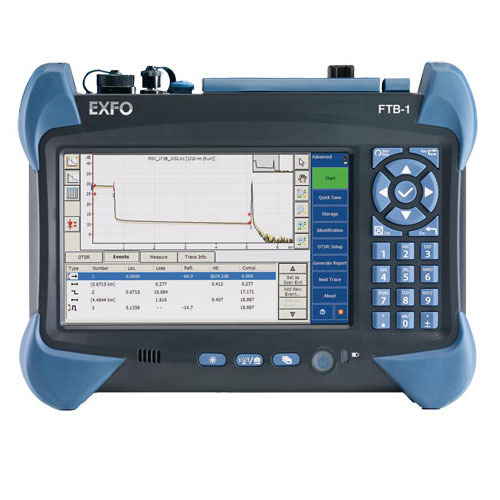 With a dynamic range of up to 39 dB and enabling power meter and visual fault locator functionalities, the FTB-730 PON FTTx/MDU OTDR module allows fiber installers to seamlessly characterize splitters in PON FTTx and multiple dwelling unit (MDU) applications. Offering comprehensive, yet simple test suites, the FTB-860 NetBlazer Ethermet Tester enables field technicians to quickly and easily turn up, validate and troubleshoot Ethernet services, with full EtherSAM capabilities, from 10 Mbit/s to 10 Gbit/s. This series of platform-based software testing tools enhance the value of the FTB-1 Platform, providing additional testing capabilities without the need for additional modules or units. EXpert VoIP generates a voice-over-IP call directly from the test platform to validate performance during service turn-up and troubleshooting. EXpert IP integrates six commonly used datacom test tools into one platform-based application to ensure that field technicians are prepared for a wide range of testing needs.